Negmet El Zeitoun Company, established in 1973, is a prime pioneering Company specialized in the production and bottling of all types of Natural Vinegar. 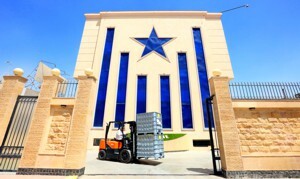 The Company dedicates all of its efforts for the development and promotion of vinegar production of all types, and the conveyance of its excellent benefits to everybody everywhere. Negmet El Zeitoun Company is equipped with an "Automatic Production Line", made of Stainless-Steel L316, foremost among the metallic materials appropriate for the packaging of foodstuff. The Company also applies the most up-to-date methods for the purification, filtration, pasteurization and sterilization of vinegar before bottling and packaging.